This blazingly intimate biography of Janis Joplin establishes the Queen of Rock & Roll as the rule-breaking musical trailblazer and complicated, gender-bending rebel she was. Janis Joplin’s first transgressive act was to be a white girl who gained an early sense of the power of the blues, music you could only find on obscure records and in roadhouses along the Texas and Louisiana Gulf Coast. But even before that, she stood out in her conservative oil town. She was a tomboy who was also intellectually curious and artistic. By the time she reached high school, she had drawn the scorn of her peers for her embrace of the Beats and her racially progressive views. Her parents doted on her in many ways, but were ultimately put off by her repeated acts of defiance. Janis Joplin has passed into legend as a brash, impassioned soul doomed by the pain that produced one of the most extraordinary voices in rock history. But in these pages, Holly George-Warren provides a revelatory and deeply satisfying portrait of a woman who wasn’t all about suffering. Janis was a perfectionist: a passionate, erudite musician who was born with talent but also worked exceptionally hard to develop it. She was a woman who pushed the boundaries of gender and sexuality long before it was socially acceptable. She was a sensitive seeker who wanted to marry and settle down—but couldn’t, or wouldn’t. She was a Texan who yearned to flee Texas but could never quite get away—even after becoming a countercultural icon in San Francisco. 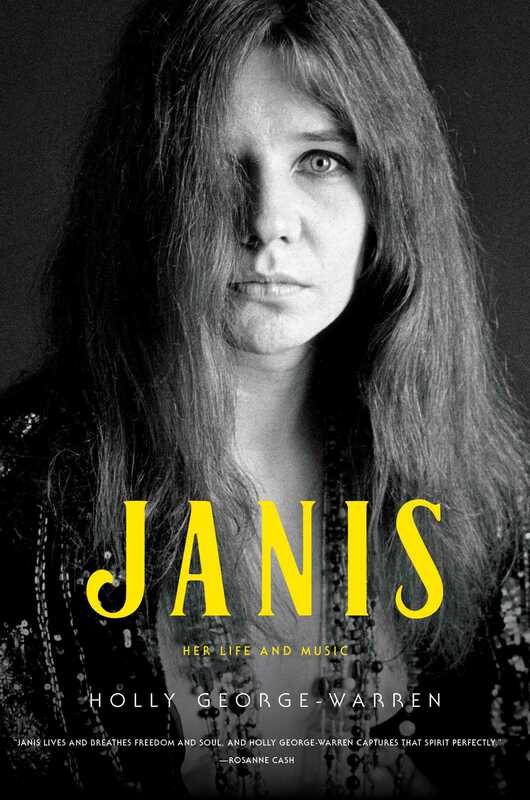 Written by one of the most highly regarded chroniclers of American music history, and based on unprecedented access to Janis Joplin’s family, friends, band mates, archives, and long-lost interviews, Janis is a complex, rewarding portrait of a remarkable artist finally getting her due. Holly George-Warren is a two-time Grammy nominee and the award-winning author of sixteen books, including the New York Times bestseller The Road to Woodstock (with Michael Lang) and the biographies Janis: Her Life and Music, A Man Called Destruction: The Life and Music of Alex Chilton, and Public Cowboy No. 1: The Life and Times of Gene Autry. She has written for a variety of publications, including Rolling Stone, The New York Times, The Village Voice, and Entertainment Weekly. George-Warren teaches at the State University of New York in New Paltz.